Washington – After hours of deliberations, Republican and Democratic appropriators said Monday night they reached "on legislation to find the government deadline and avert another shutdown. The proposal, which would cover all seven remaining appropriations bills, includes $ 1,375 billion in funding for physical barriers – in the form of 55 miles of bollard fencing – and a reduction in overall immigration and customs enforcement (ICE) detention beds from the current 49,057 level to 40,520, according to a congressional aide. But the agreement is already alienating some members of the conservative House Freedom Caucus. "While the President was giving a great speech in El Paso, Congress was putting together a bad deal on immigration," GOP Rep. Jim Jordan or Ohio tweeted . Congressman Mark Meadows, a North Carolina Republic and chair of the caucus, called the conference agreement "hardly trying to secure our border or stop the flow of illegal immigration." It is unclear if President Trump will support the budget agreement , which was brokered minutes before he was rally in the Texas border city of El Paso to decry illegal immigration and tout his hardline immigration agenda. In an interview recorded before the rally, the president told Fox News' Laura Ingraham he was briefed on the deal "very quickly." Asked if the White House supported the deal, Republican Sen. Richard Shelby of Alabama told reporters, "We hope so. We think so." But two senior administration officials said the White House was waiting for the details of the congressional agreement in principle, and Republican Sen. Lindsey Graham, who has become a White House ally, suggested the president may not support the deal. "I know the president will never sign a bill that caps bed space for violent offenders because that's crazy," Graham said on Fox News "" Hannity "Monday. "It's dangerous. You will incentivize more illegal immigration." "The president won't agree to it. To add more money to limit bed space is a bad, dangerous deal," he added. 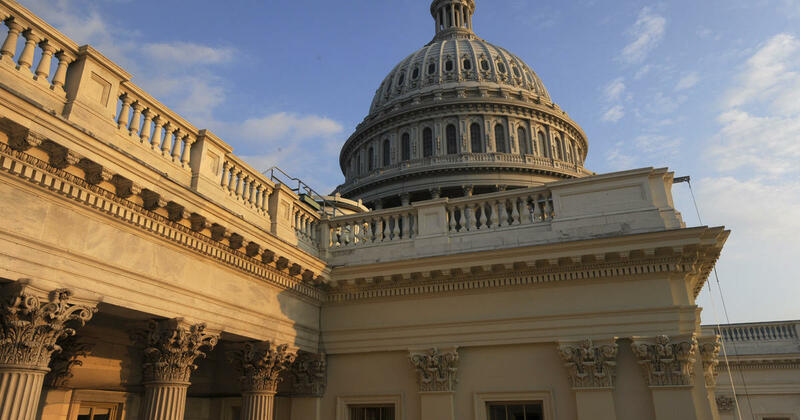 Lawmakers were scrambling to flesh out an agreement and have a budget measure ready before the current continuing resolution (CR) partially funding federal government operations expires Friday. Democrats reasoned that capping ICE's detention beds would force the administration to narrow its deportation efforts, focusing on "criminals and people who pose real security threats, not law-abiding immigrants who are contributing to our country," Rep. Lucille Roybal-Allard, the lead House Democratic negotiator, wrote in a statement. A government data clearinghouse run at Syracuse University notes in an analysis of ICE data that most ICE detainees have no criminal conviction and almost 75 percent have no serious convictions. The Democrats do not want to detain, or send back, criminal aliens! This is a brand new demand. Crazy! Last month, the president temporarily backed off his $ 5.7 billion demand for border wall funding and signed a continuing resolution to find the government for three weeks. The short-term deal ended in a 35-day budget in the White House and lawmakers, with a temporary reprieve of approximately 800,000 workers across nine federal departments who had been working or not paying. Alan He , Rebecca Kaplan and Major Garrett contributed reporting.